There were so many memorable moments during Sunday’s 25th Annual Screen Actors Guild Awards. 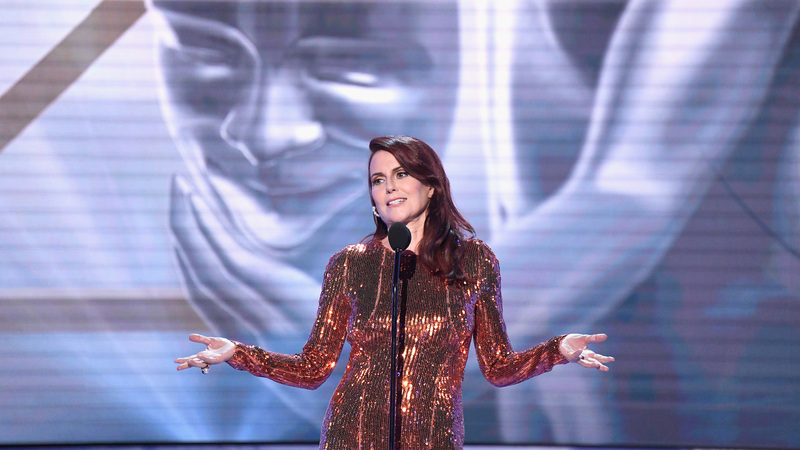 Megan Mullally hosted the ceremony, which featured some truly incredible speeches, a Fatal Attraction cast reunion, a historic win for the cast of Black Panther and more. Following this unique show, which is the only award show to exclusively honor actors for their outstanding work throughout the year, we’ve rounded up seven highlights that demonstrate why this night was so special. Mullally made jokes about several members of the audience, including Lady Gaga, claiming the A Star Is Born actor has done Mullally’s eyeliner “for the last 15 years.” She also called out Emma Stone, noting, “To SAG nominee, the beautiful Emma Stone, who just turned 30: Our condolences.” Mullally joked, “You had a great run. I mean like, a really great run. Extra, extra good, but you know, we’re looking forward to your reverse-mortgage loan commercials. You’re going to be great! Chin up.” She gave Stone two thumbs up for effect. Tom Hanks gave a moving introduction to Alan Alda on Sunday night. “A career is measured by different yard sticks,” he noted. “…quality being the first. There’s longevity, as well, but most important, I think, perhaps, is how an actor’s choices reflect the time or the tenor of our troubled world and of our human natures. The actor we honor tonight for his life achievements is worthy, then, not just for his decades of work and praiseworthy credits, but for how he’s shown us all who we are and what we all can be.” Hanks went on to note Alda’s many accomplishments as a performer, including that he was the first person to ever win Emmy Awards for acting, writing and directing. When Alda walked to the stage for his speech with the M.A.S.H. theme song playing over the speakers, he received a standing ovation from the audience. “You know, it’s really hard to describe to you what it feels like to look out and see my fellow actors, my colleagues, my heroes — to welcome me up here like this. It’s an extraordinary feeling,” Alda began. “Tom, Tom, thank you so much. You killed it.” He went on to say that as he’s looked back at his life and thought about what it means to be an actor, he’s never been more proud to have a job where he gets inside a character’s head to help people see the world through someone else’s eyes. On the red carpet before the show, Close also admitted she felt intimidated by Douglas when they first began filming. Fifteen actors make up the core ensemble cast of This Is Us, and many of them were in attendance on Sunday night, when they took the stage for the ensemble cast in a drama series award. Mandy Moore took charge of their acceptance speech and made sure to thank the actors in the audience as well as the guest actors and background actors on This Is Us, plus showrunner Dan Fogelman and the rest of the crew.